Wow!! Central Florida really had a strange winter for gardening this past year. Usually around November it really starts to cool down and we could have a few days of frost. That didn’t happen last year and December was unseasonably warm all month. My tomato plants just kept growing and growing. When January rolled around, the cold came with a vengeance. And with the cold came freezing temps. I went out a couple of times and really wrapped my tomato plants with blankets and kept them from burning. But, when the third freezing cold came, I was done. 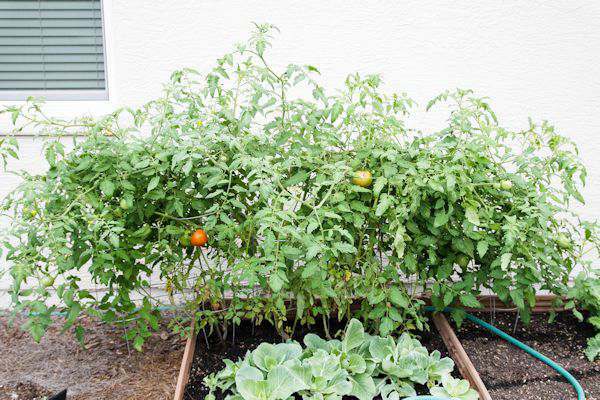 You can only keep a tomato plant alive for so long. 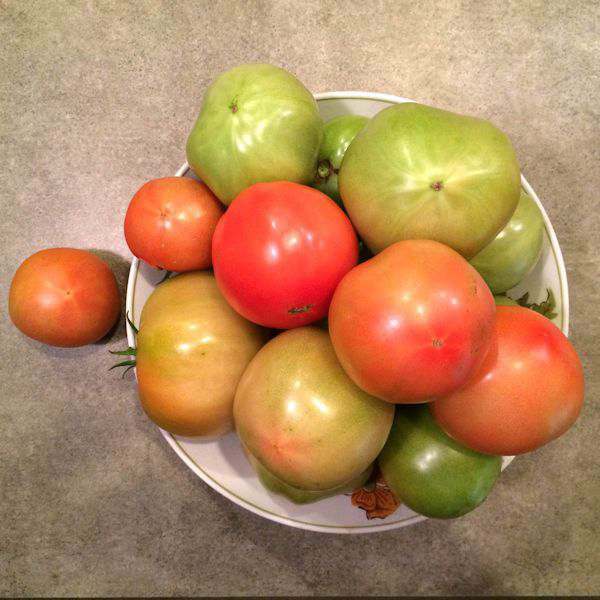 But, I did go out and pick all the red and green tomatoes I could find. I couldn’t believe how many I brought in the house. I put the “not so ripe” one in a plastic container with and apple and in a couple of weeks they had all turned a beautiful red color. One at a time. We really enjoyed fresh tomatoes in the dead of winter. That was a tomato season for the books for me. I’m just sorry my dad wasn’t hear to enjoy any of them. 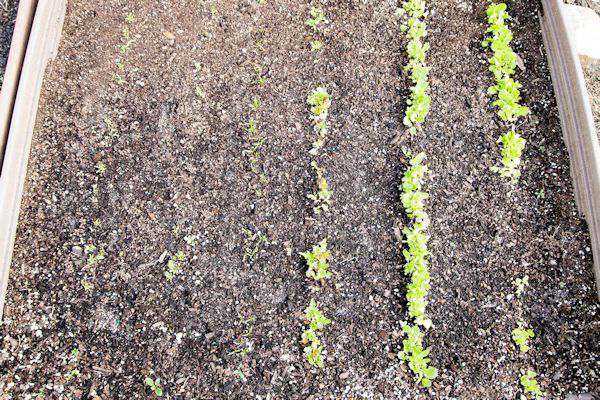 I planted spinach and lettuce after it warmed up a little and I have never had a crop look like the picture above. Lettuce and spinach have always grown well here. Nothing is growing. I’ve kept it watered, but still nothing. I think maybe my seeds are getting old. I’ve had them for a couple of years now. The lettuce is on the right and the spinach is on the left. I did plant another row of new seeds of spinach down the middle and I will see if anything comes of it. The seedlings look good so far. What was that you said? What lettuce? Something ate all the spinach to the ground. At first I thought it might have been a bunny, but then a bunny would’ve at all of the green leaves and not just the spinach. I actually think it was snails because the weather became really warm for about a week in February and over night it was all gone. I got out my snail bait again, but I don’t think I will get anything from them. My seedlings are growing well and next week I will set them outside for a few days so they can get use the weather. Our zone areas last day of frost is March 15th. 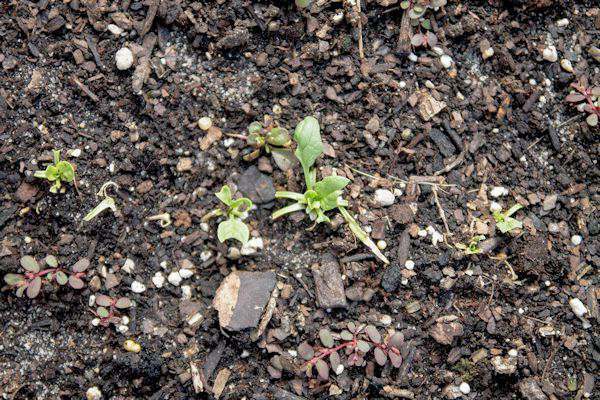 Here is an important part of planting seedlings. They really need to get acclimated to weather before being planted in the ground. I have cucumbers, tomatoes, green peppers and herbs growing well. My cucumbers didn’t make it but just as well. They do just as good planting seeds in the ground. I was just wanting to get a head start on the heat with them. 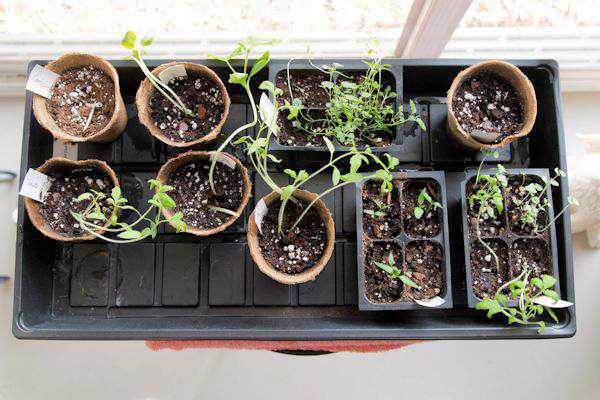 If you plan on growing cucumbers, watermelons, squash or zucchini its a really good idea to plant them either straight in the ground by seed or in the [easyazon_link identifier=”B00004RA41" locale=”US” tag=”tagleenterpri-20"]peat pots[/ea[/easyazon_link]They don’t like to be transplanted and by growing the seeds in the peat pots you can plant the whole thing and not disturb their growing roots. 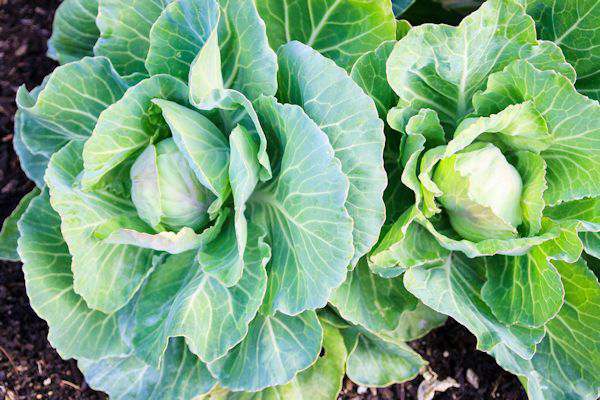 What I am most proud of this year is the cabbage. Its growing so nicely and I was worried it wasn’t going to make a nice cabbage head. I was saying that to my husband and he replied, only as my hubby can do…….. It doesn’t matter what it looks like as long as it makes cole slaw! I will say it again. He ain’t right, but I think I will keep him. Even though this post contains affiliate link, I want to pass on a product I have tested, use and love. We had a strange winter here in Kentucky too. I always love your garden updates as Spring approaches, Tammy. I know I’ve said this every year, but soon I will copy you and have one of my own :). Maybe this will be my lucky year! My son really wants one. They are just so much work! Your cabbage is beautiful. I love your sweet hubby’s comment. That sounds like something mine would say except he’s not a coleslaw fan. Candace, I didn’t know you lived in Kentucky. I lived most of my life in Missouri and would go to Paducah, KY a lot to shop. About your garden. Just start out small like I have. It is so easy to keep up with. I have a large pot that I have 2 different kales growing in. You can do it girl!!! Get your hands dirty.